Ability Text: Spells your opponents cast cost 2 more to cast. At the beginning of your end step, each opponent loses 1 life. 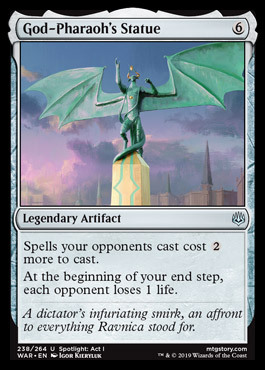 Flavor Text: A dictator's infuriating smirk, an affront to everything Ravnica stood for.